The time has finally come for the Canadian federal government to move to the cloud. In an announcement on Feb. 7, Carla Qualtrough, Minister of Public Services and Procurement and minister responsible for Shared Services Canada (SSC), announced that SSC is now offering public cloud computing services for the Government of Canada. 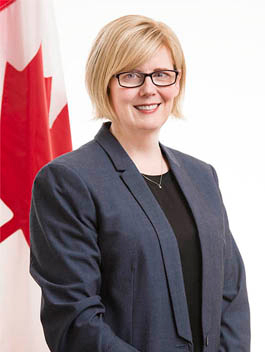 Carla Qualtrough, Minister of Public Services and Procurement and minister responsible for Shared Services Canada. So far, SSC has awarded 22 contracts for public cloud computing services, and promises more will follow. It did not share specific details about what companies were awarded contracts or what cloud provider it will be using but ITWC has reached out for comment. The department will collaborate with the Treasury Board Secretariat to act as a cloud broker, meaning it will be in charge of distributing government funds for such projects and will work with agencies to select the right solution for their needs, while also providing security, operations, and IT assistance. At the moment, the cloud services will handle only unclassified data, which includes storing publicly accessible collections such as archived material, government-generated open data, and big data sets generated by the scientific community. The government is hopeful that this will be useful for things like emergency response, conservation, transportation, establishing property rights to consumers’ social networking, and tourism. Making the announcement at the Cloud First Day event hosted by the Treasury Board of Canada Secretariat. This move to a more modern IT infrastructure is meant to solidify the Liberal administration’s commitment to open government, she continues, as well as improve the responsiveness, flexibility and value of the applications used to deliver programs and services. It will also give Canadians increased access to government data and services, and enable better analysis of unclassified scientific data sets that may be too large to process via traditional methods. “Building modern user-centric digital services is key to us raising the bar in terms of how we serve our citizens. We can’t be a Blockbuster government when we’re serving a Netflix citizen,” he continues. “If a company fails to get digital right, it’s out of business; if a government fails to get it right it becomes out of touch. Our relevance to citizens is in jeopardy if we can’t deliver world-class digital services and cloud is a critical piece of providing good digital services. We’re making investments in IT, and we’re considering cloud solutions and the advantages of them over expensive hardware. With cloud computing available on an as-needed basis, the government can save costs by tailoring services to its specific needs. It also gives developers a safe space to create new IT applications. 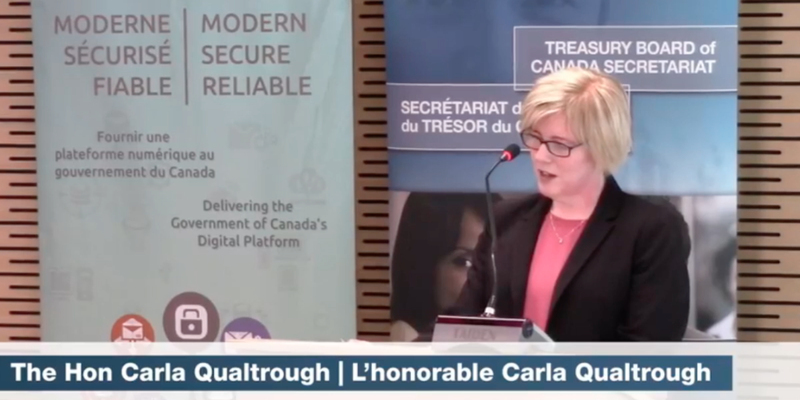 The Correctional Services of Canada, for example, uses the cloud to more effectively manage its technical services and facilities across Canada, according to Qualtrough, adding that this type of success is what the government will build on. The government seems open to moving more data to the cloud in the future, with the minister saying there will be a separate procurement process for cloud services to handle higher data security requirements at a later date.